I roll everything into the monthly payment, and only the MSD due at sign which is $5250. I think I did pretty well. Thanks to this forum I was able to get this deal! Great deal. Is there still trunk cash on the CS models? Anyone know how much? Was the $4,500 taken off the $86,000 sales price? Were the dealer costs (bank fee, doc fee, taxes etc.) all rolled into the monthly? Hard to recreate your numbers, but not doubting you got a great deal. Please let us know. Thanks! That is an incredible deal. You may consider 24 month lease. I think payment will be cheaper. 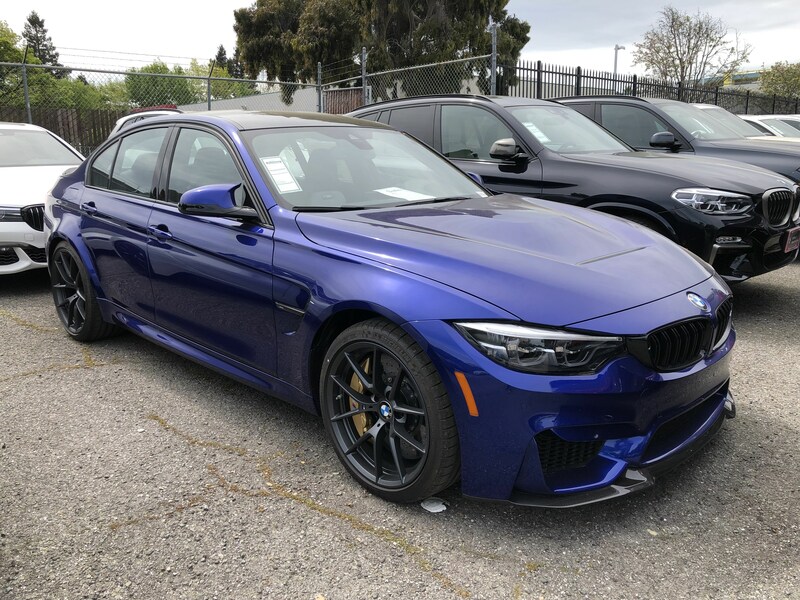 My neighbors would think I’m the biggest prick with that color But that has to be one of the nicest colors they’ve ever made in an M. Absolutely amazing deal! That is a sick color on a great looking car. Congrats! That’s way better than my deal and probably the best deal on a CS i’ve seen thus far. Comgrats OP. Is that the San Marino Blue Metallic? Congrats man ! Thats an amazing deal as well. Crazy good deal. Especially considering it’s a new vehicle. I’m impressed that they listed it that far under MSRP. Well done! Thanks! the frozen blue II is nice but hard to clean… also 5.5k extra… so… skipped! Oh well worth skipping the extra 5.5k. This is jist as good. That’s just insane. Would have been even cheaper at 24 months which I don’t think happens often on a M car.